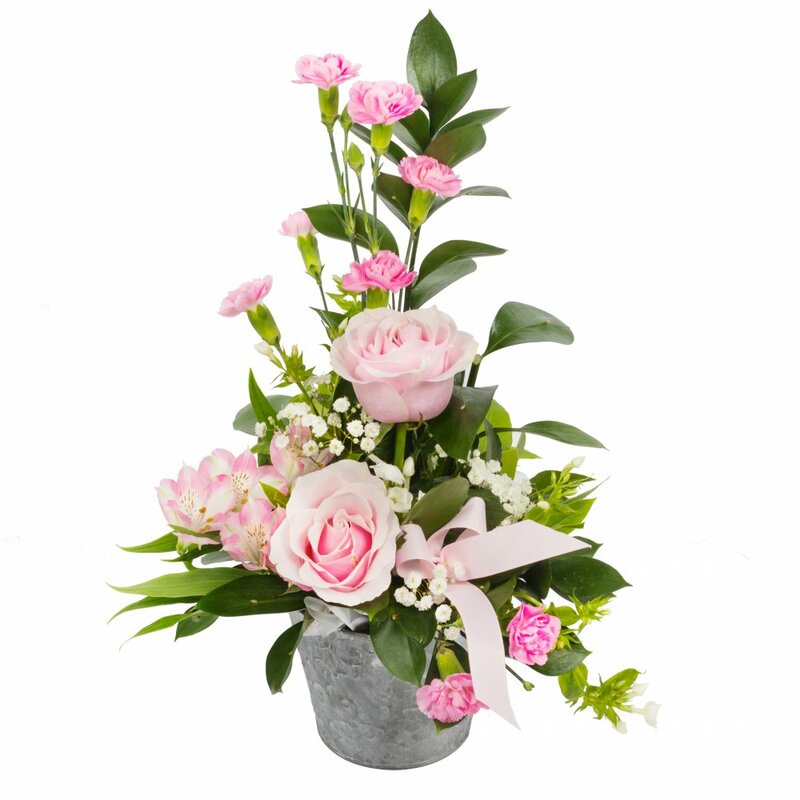 A small but choice selection of flowers arranged in a petite container. This really is a pot of happiness. In beautiful shades of pink and beautifully arranged. This is Perfect for that token gift.